Read on to discover five models for building a platform strategy such as basic usage metering and up-selling API integration. important to have made a conscious decision in regards to this. Hope is not a strategy, and many product organizations are being disintermediated for moving too slowly in this regard. In answering the ultimate question: are you a product company? Or are you a platform provider? We are really looking to address the theme that many product companies are migrating to a platform, meaning that they are creating an app that plays nicely in their respective ecosystem. That said, there are several ways by which your application can play nicely with other applications. Here are 5 different approaches you can take as a platform provider to deliver value to your customers. This is the most obvious method of generating revenue from your API — directly charging for it. This strategy works best if your organization provides access to data or services that people want to pay for. E.g. Dun & Bradstreet is a data provider, and expose data as a service via API. In this case, customers are willing to pay for programmatic access to D&B's services to enable new business processes and products around the D&B platform. SaaS providers use this model often, as customers have become increasingly demanding of integration capabilities for any product they buy. Adding API integration to a subscription offers a strong motivator to upgrade to a higher package, and creates a stickier relationship with customers by allowing end users to customize their experience and workflow more easily. APIs that are themselves the product can be the most complex monetization models, but they also often provide the highest value, collecting some revenue share or service-based fee for the product delivered via API. E.g. Paysimple — a leading payment gateway provider — offers API access to their payment services. Customers of this service will then be charged a percentage of the payment amount for each API transaction. Organizations can scale the reach of their product by integrating their API with strategic partners. This has the potential to open your business to existing application ecosystems, which you may not be able to reach alone. growth that would be difficult in a direct sales model. leverage more than one (if not all) of these models as they grow. continue to make the leap from selling products to selling a platform. Last year, the State of API Integration Report was our first inaugural research report that sought to sort through the proliferation of APIs setting the benchmark for our research on API integration. 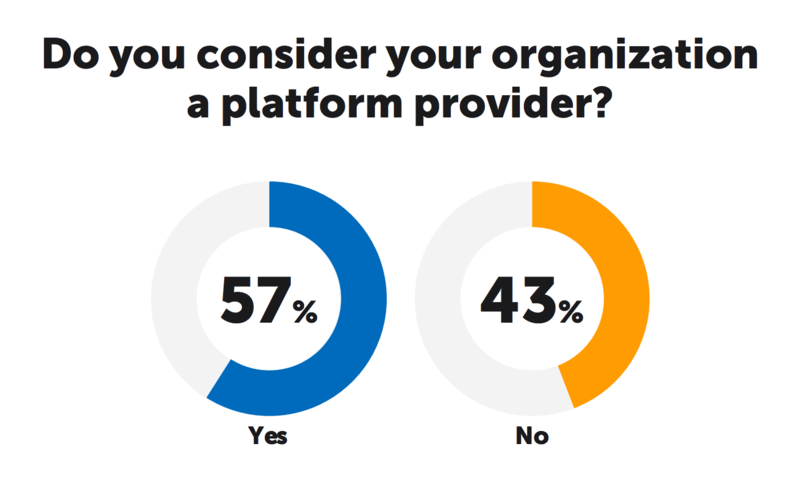 This year’s report builds on observations from 2017, with the help of over 400 API enthusiasts who took the State of API Integration Survey at the end of last year. When building a platform strategy — how can you drive new revenue opportunities or deliver value through API integration. By understanding drivers of adoption, you can change how developers and end-users consume APIs and integration services. The strategic shift of integration has widely been driven by enterprise applications like Enterprise Resource Planning (ERP). An evolution of B2B integration has organizations evolving the way they share and synchronize data with partners. The comprehensive research covers sections including a breakdown of the data, trends, common API business models, and event-driven integration. Download it here to receive the report directly to your inbox.